Gardeners are being asked to be vigilant to help stop the spread and identify areas affected by Aquilegia downy mildew. Carrie Thomas, who held the only two National Plant Collections of Aquilegias warns that downy mildew threatens to kill all the Aquilegias (Columbines) otherwise known as granny bonnets in YOUR garden and infect the soil with spores so you are unable to grow them in the future. Carrie realised a year ago that something was affecting a few of the hundreds of plants in her Swansea garden and the RHS plant pathology department identified a new downy mildew disease. Despite working hard and long to contain the disease last year, her collection has been decimated with only 10% or less now left which means there are no longer any National Collections of Aquilegia in the UK. 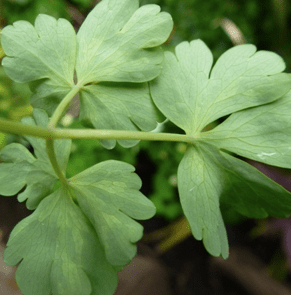 People growing, selling or buying Aquilegias need to be very vigilant as the plant goes through a number of stages of the disease which are not instantly recognisable. To aid with identification, Carrie has created twelve informative webpages for you to check and diagnose your own plants. seems as though it may cause the same level of devastation recently seen in impatiens. Carrie is not alone in the decimation, it seems quite widespread in the south of the UK but it has also been found as far north as Lancashire. She is compiling a list of known areas where the disease has been found. The sale of diseased nursery stock is a huge issue and could be the prime way this is distributed around the country. Within the last few days, Carrie found diseased plants on sale at two major public gardens, as well as badly systemically affected plants in the gardens themselves. Nursery staff seem on the whole unaware of Aquilegia DM and the initial subtle symptoms which are slightly yellowy, angular patches on some leaves. Later the symptoms become obvious, as the whole plant is affected. These yellow patches are very different to the markings found in Aquilegias with variegated leaves. Such systemic infection shows at first as upright growth with smallish leaves that are strangely whitish. Later the leaf edges curl and eventually blacken and crumble away. All the while spores are released to infect neighbouring plants and the soil. It is not known how long the spores can live or remain dormant. The RHS have also stated that they do not know if the disease can spread via the seed. Carrie strongly believes that in the near future there will be huge swathes of land that cannot grow aquilegias, primarily in the South East of England where the effect is likely to occur much earlier. It may not be long before (like busy lizzies) we cannot grow Aquilegias at all, and unlike the Impatiens, aquilegias are hardy perennials and can sporulate throughout a mild winter, as well as the rest of the year. Does it matter that gardeners cannnot grow this plant? Many think so, it is a stalwart of may cottage gardens. But perhaps equally important is our British Native, Aquilegia vulgaris which is also at risk. 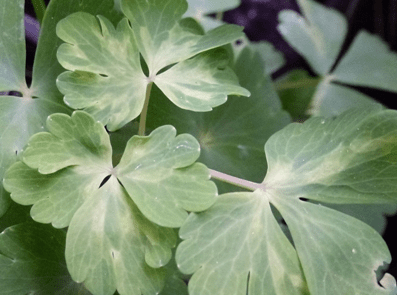 What to do if you suspect Aquilegia Downy Mildew. If you find DM on your aquilegias, please do contact Carrie. Her email address is; carrie.thomas followed by @ntlworld.com. (sorry…. have to do this to stop spam). Please give her your village/town and county (and photo/s if possible) as she can then add it to the online directory of where it is found: She will also usually be able to confirm if it is DM if you are unsure, just email her some photos. Meanwhile, your help will be key. Early identification and destroying plants may be the only way of halting/slowing spread until scientists can help us more (the RHS and a research station in Germany are working on this pathogen). Please do spread the word. Be nosy when looking around other people’s gardens, parks, and in nurseries for infected stock and be brave and tell the owners or forward details to Carrie if you can’t face that and she will contact them if you give her the info. This may not be just a UK wide problem, so spread the word as far afield as possible and beware when buying any Aquilegias or swapping plants with friends. At this stage, Carrie recommends that you pull out and dispose of infected plants (NOT on the compost), to stop the disease spreading quickly through your other plants. These affected plants are going to die, so you are not loosing anything, only gaining by removing sources of infection early. 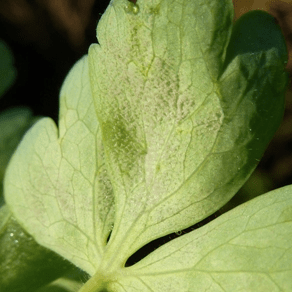 Pages of useful information about how to identify downy mildew and a directory of where the disease is currently found. 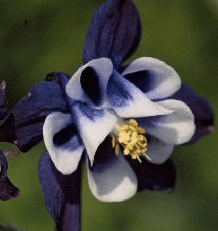 RHS advice and information on Aquilegia downy mildew. If you have any problems contacting Carrie, please contact us using the comments section at the end of this post.